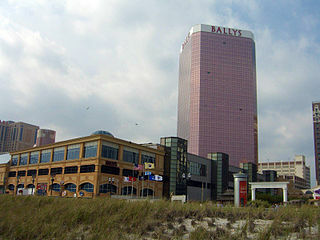 Located on the boardwalk, Bally's Atlantic City hotel combines comfort with history and tradition. The casino will thrill and delight those traveling to Atlantic City hotels. The Family Fun Center, spa, shopping, nightlife, and indoor pool ensure that Bally's Atlantic City will be fun for all the family. The two casinos, Bally's and Wild Wild West, at Bally's have over 220,000 sq ft of gaming space with over 5000 slot machines, Keno, and many table games, among other features. Bally's Atlantic City Casino offers the ultimate Atlantic City video poker experience, with numerous casino slot machines including progressives, video reels and all the newest games.